Tragically, over 700,000 Americans suffer from eye injuries at workplaces, with an additional 125,000 more people injuring their eyes at home. Most of these injuries can be preventing by wearing prescription work safety glasses, which are considerably stronger than standard eyewear. If you work in conditions that are exceptionally hazardous to your eyes, such as carpentry, auto repair, maintenance, welding, electrical work, mining and other professions, it’s critical to protect your eyes at work by wearing work safety glasses. Here are a few considerations on how to choose the right prescription work safety glasses. If you work in areas where light conditions are varied, use high contrast lenses. These lenses have a copper, brown, amber or rose base tint and offer more depth perception and better definition. However, if you work mostly in full, bright sunlight, choose a grey or neutral base lens because it can reduce glare and provide exceptional clarity in bright light. What’s more, a lens with a grey base is less stressful on eyes as it dulls transmitted light. Unlike high contrast lenses, grey base lenses are neutral. Therefore, you’re able to see true color without changing it. Choose transition lenses if you work both indoors and outdoors as they can adjust to changing light conditions. Also called photogromic lenses, transition lenses come in several sunglass tints. 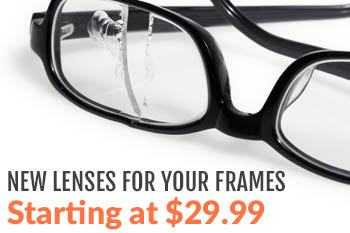 The best lens material is polycarbonate or trivex as they’re shatterproof, lightweight and impact resistant. Although trivex lens look thicker, polycarbonate is stronger and lighter. Plastic is recommended when it comes to selecting a frame material for your prescription safety work glasses. Plastic frames that are acetate or injection molded are able to withstand impact without fracturing. As a result, this protects against further damage from a frame breaking or becoming serrated. As for the best type of frames for your prescription safety glasses, it’s best to have a high-wrap frame that has an 8-base curvature or more. This provides temple protection from hazardous materials and objects, as well as full peripheral coverage. In some work conditions, a 6-base curvature lens can give enough protection. But unlike an 8-base, it lacks temple coverage. One of the ANSI (American National Standards Institute) requirements for safety glasses is that the Z87 mark needs to be posted on the frame or the lens. There are some businesses that require that the ANSI Z87 mark be stamped on safety glass lenses. Safety lenses come in two classifications of performance, which include basic impact and high impact. A “+” mark on a lens indicates that it has passed the high velocity test. Other markings on a lens may include a “v” and an “s”. The “v” mark shows that a lens is photochromic, while an “s” mark indicates that it contains a special tint. Because polarized lenses can make it difficult to read a LCD screen, they’re usually not recommended. Therefore, choose non-polarized lenses. 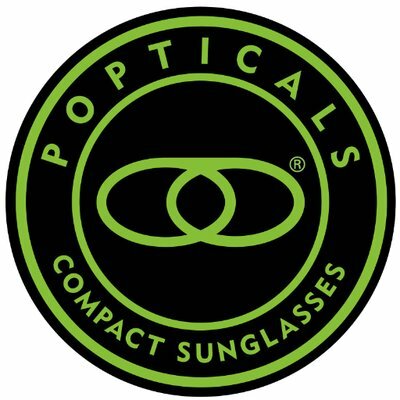 On the other hand, polarized lenses are fine for sports as they remove the glare from snow, water and pavement. Digital lenses are recommended over non-digital lenses. This is because digital lenses do not have peripheral distortion. Rather than a flat lens, digital lens provide a curved lens, which is helpful. If you have a strong eyeglass prescription that’s at least 4.00, a high index lenses is recommended. This kind of lens reduces lens thickness because it bends light better than standard lenses. They’re constructed from a denser material and don’t need as thick of a lens for correcting defects such as farsightedness or nearsightedness. Selecting the right prescription work glasses can seem overwhelming for most people because there are so many options, regarding lens tints and frames. You don’t have to do this job alone. Don’t hesitate to call Rx-Safety. We specialize in prescription safety glasses, prescription motorcycle goggles and other types of prescription eyewear. Please contact us. You really make it seem so easy with your presentation however I find this topic to be actually something that I think I might never understand. It sort of feels too complicated and very large for me. I’m looking forward in your subsequent submit, I’ll try to get the dangle of it!